Northland Drycleaners is an iconic company that was established in the 1950s and has been supplying the Northland region with outstanding Dry Cleaning services ever since. The business was first located in Maunu Road, Whangarei and then relocated to the Corner of Bank & Water Street where it has remained for more than 30 years. 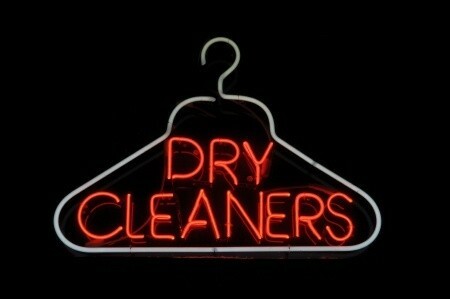 Northland Drycleaners has now combined with Lifestyle Laundromat to offer the public a comprehensive and complete Dry Cleaning and Laundry Service. Unlike most Drycleaners, all the processing is done on site which means we can offer comprehensive advice from experienced Drycleaners as you drop off your garments. We can also offer faster turnaround times for the processing of your garments – like “same day service” and “while you wait service” for steaming or pressing garments in many instances (Mon to Fri only). We also offer a free pick-up and delivery service within the Central Business District – this is a same day service if the call is received before 10am . A comprehensive stain removal service is also available – most stains are easily identifiable and easily removed if they are left untouched before we receive the garment. Unfortunately in some cases if stains have been pre-treated they may be set which makes it very difficult to remove without compromising the fabric. Northland Drycleaners also offers a full garment repair and alteration service – Just ask our friendly staff for advice and price information. Please ask for advice and price information.